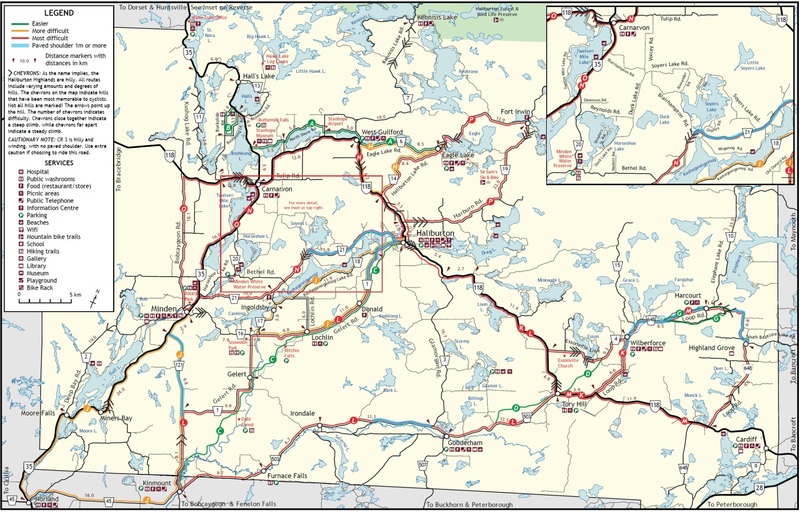 This map identifies suggested routes only. 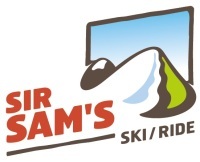 Although not all hills are marked, we have tried to provide distances and hill chevrons on most major roads to allow you to create your own favourite route. Disclaimer: Users of this information bear full responsibility for their own safety. Cyclists should evaluate route choice based on level of experience, health, comfort level cycling in or adjacent to traffic, weather conditions, time of day. The county, agencies and individuals who have contributed to the development of this map are not responsible for the personal safety of cyclists who use this map and do not warrant the safety of roads on this map for use by cyclists. 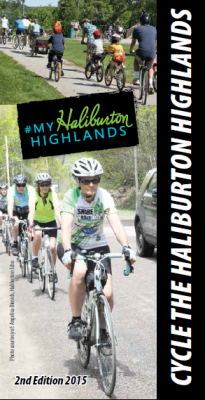 Pick up a paper copy of the Haliburton Highlands Cycling Map at tourist information centres, public libraries and various other locations across the county.